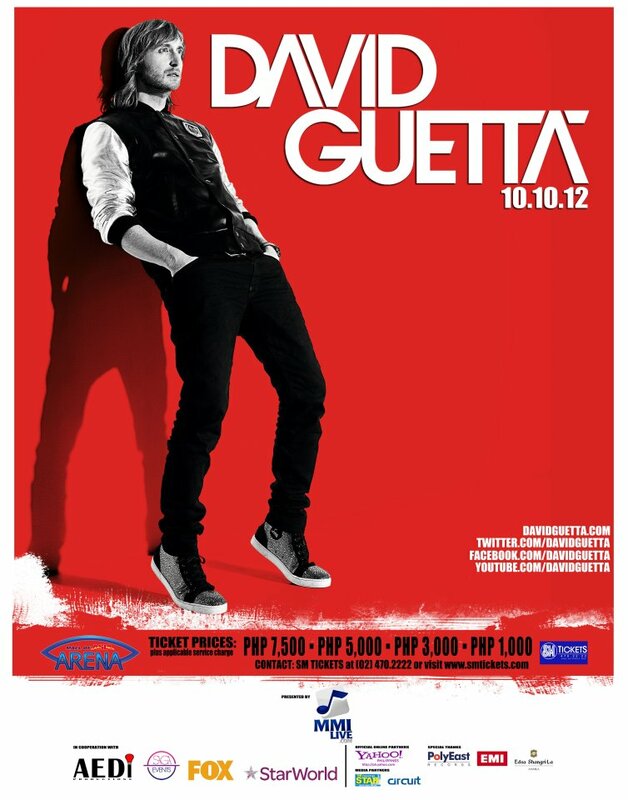 On Wednesday October 10 2012 world’s number 1 DJ David Guetta will perform live in Manila in the SM Mall of Asia Arena. The opening DJ for this concert will be DJ Alesso. The world’s number 1 Dj and grammy award winning DJ and producer David Guetta, whose first hit came out over a decade ago, now boasts an endless list of chart topping hits and has produced five successful studio albums. His latest album Nothing but the Beat has reached Platinum status in countries all over the world. His chart-topping productions feature collaborations with many of the world’s biggest artists such as Will.I.Am, Usher, Nicki Minaj, Flo Rida, Taio Cruz, Jessie J, Ludacris, Snoop Dogg, Afrojack, Avici, Kid Krudi, Chris Brown, Rihanna, Lil’ Wayne and more. The doors of the SM Mall of Asia Arena will open at 8pm. Tickets can be bought on the SM Tickets site as well as any SM Ticket outlet. 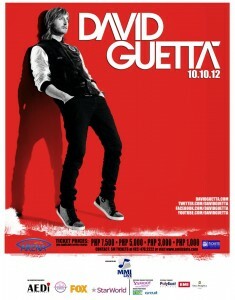 You can call 8450125 / 8693000 or text 09175421047 / 09285250001 for VIP ticket purchase inquiries.